If you have metadata assigned to the edge from previous step, you do not have to assign it once more. 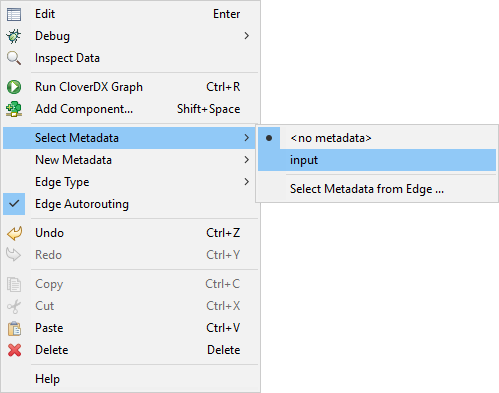 If you have any edge without metadata and you would like to assign the metadata to the edge, right-click the edge and select the Select Metadata item from the context menu. Select the desired metadata by clicking its item. The edge with assigned metadata becomes solid.